After Nephi had finished speaking to his brothers, then began to murmur and say that Nephi spoke ‘hard’ things to them. 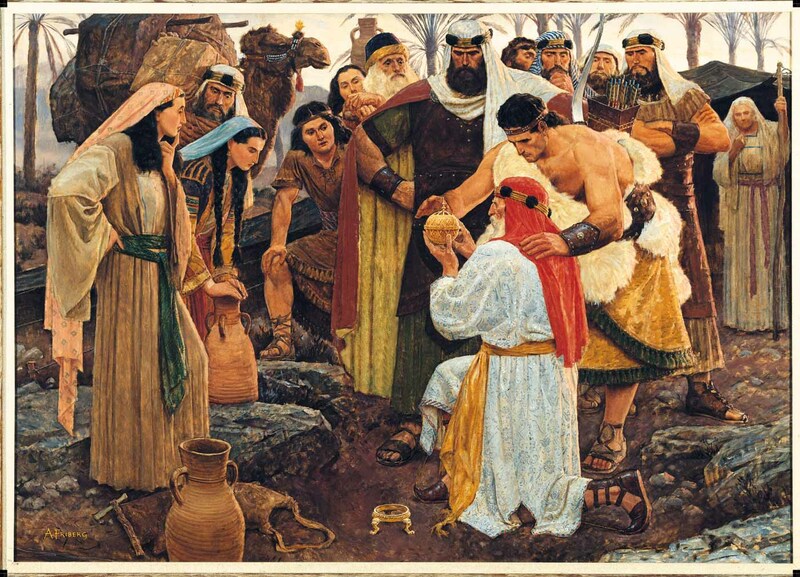 Nephi responds by saying; “…the guilty taketh the truth to be hard, for it cutteth them to the very center.” (1 Nephi 16:2) Nephi told them that if they followed the commandments of the Lord, they would not say that Nephi was asking ‘hard’ things of them. Nephi urges them to follow the commandments of the Lord! During their journey in the wilderness, Nephi went to hunt with Laman and Lemuel, however; “…as I, Nephi, went forth to slay food, behold, I did break my bow, which was made of fine steel; and after I did break my bow, behold, my brethren were angry with me because of the loss of my bow, for we did obtain no food.” (1 Nephi 16:18) Laman and Lemuel began to murmur for the want of food, and began to complain against the Lord for guiding them into the wilderness without food. Nephi, be un-deterred, made; “… out of wood a bow, and out of a straight stick, an arrow; wherefore, I did arm myself with a bow and an arrow, with a sling and with stones. And I said unto my father: Whither shall I go to obtain food?” (1 Nephi 16:23) Nephi knew that if he did his part, the Lord will help with the parts he couldn’t do. Instead of complaining Nephi made a makeshift bow out of wood and then relied on his faith in God to help him obtain meat through hunting. Because of this, Laman and Lemuel began to stir up the hearts of the family against Lehi and Nephi, claiming that Nephi desired to be a king and ruler over them. However, the voice of the Lord chastened them and they did repent. This entry was posted in 1 Nephi, The Book of Mormon and tagged Book of Mormon, Bow, Bow of Steel, Faith, Ishmael, Journey to America, Laman, Lehi, Lemuel, Liahona, Nephi. Bookmark the permalink.